Above is a picture of #8 green taken in 2012. Here is a picture I took last Friday from the exact same location. 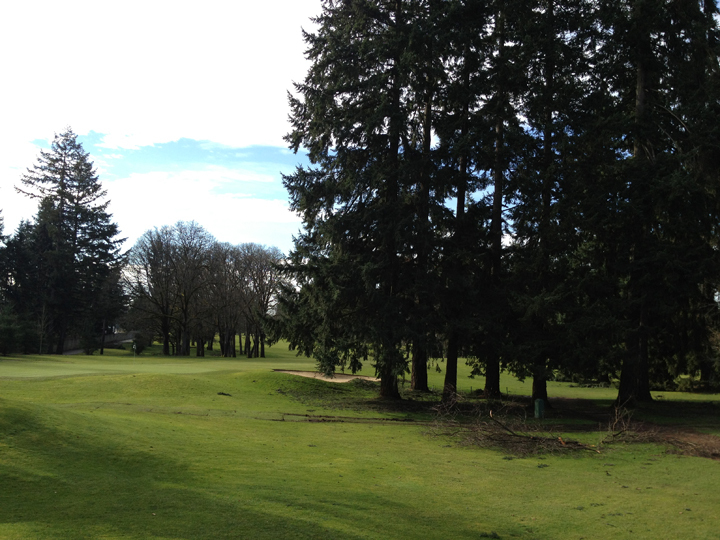 During the renovation in 2013, this grouping of trees near #8 green was thinned out and limbed up. They had grown up to the point where they were choking each other out and with limbs down to the ground, there was no way to grow turf anywhere near them. Now you can see these trees have adequate air space to grow normally and also it's obvious there is now good turf around and under them. This is a great example of what the Club's Tree Management Plan is all about. The plan's primary directive is to protect and preserve the desirable plant species on the golf course. For the most part turfgrass is the most desirable plant species on the golf course since after all the property is first and foremost a playing field for the game of golf. The trees are also desirable plant species but when their density becomes such that they compromise themselves and turf, some need to go away in order to benefit the other. These two pictures show beautifully how the Club's Tree Management Plan is actually a preservation plan and not a devastation plan. With proper management the Club can still have trees while having turf at the same time. Unfortunately most of the fir trees on the property are less than 200 years old so they are still young and actively growing. They will double in size and there is simply not enough space on the golf course to allow that. 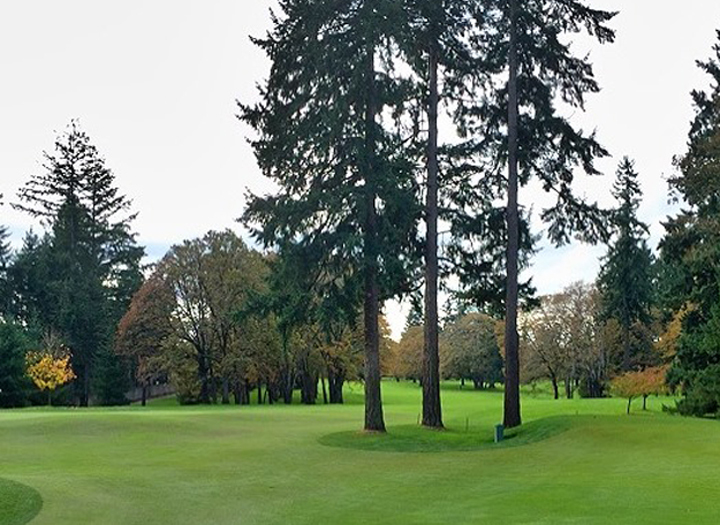 The Tree Management Plan will preserve the reputation of quality golf which this Club has earned and deserves. In areas where trees have outgrown their space and are compromising themselves, and turf...........less is more.